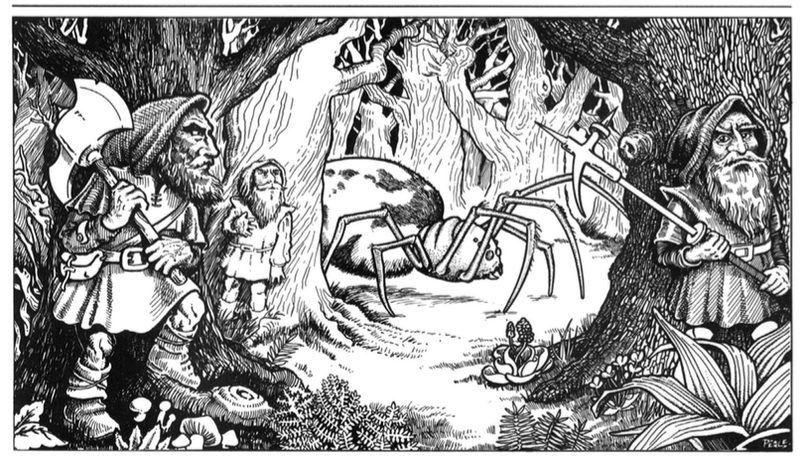 Here is the index of my posts on my Spider Cult of Mirkwood campaign. 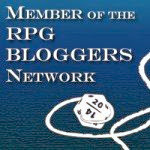 It will remain in the section of this blog entitled ‘Some of my RPG Stuff’ (always found in the upper-right corner). This index will be updated as new entries concerning the campaign are posted here. 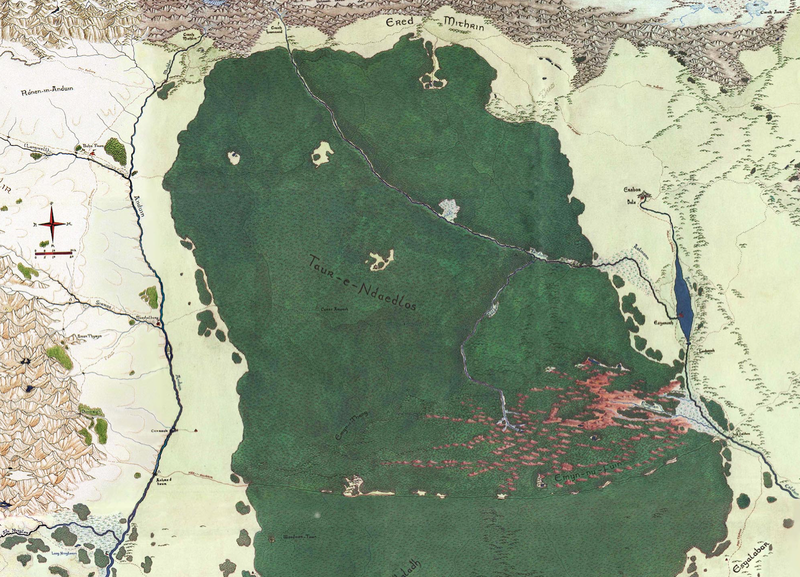 This campaign takes place in Mirkwood and the surrounding regions—the Long Lake area, the ‘narrows’ north of Mirkwood and south of the Grey Mountains, and the Anduin Vale—about five years after the events described in The Hobbit (it starts in late spring 2946 of the Third Age). I’ve drawn on a number of different resources for this campaign. In addition to the works of Prof. J.R.R. Tolkien (of course!) and my own imagination, I’ve made use of some of ICE’s old Middle-earth Roleplaying (‘MERP’) materials, in particular their Mirkwood setting book, and the more recent books from Cubicle 7, especially the Loremaster’s Guide and the Rhovanion Region Guide. However, I’ve changed a lot in what I’ve taken from the ICE and C7 materials. 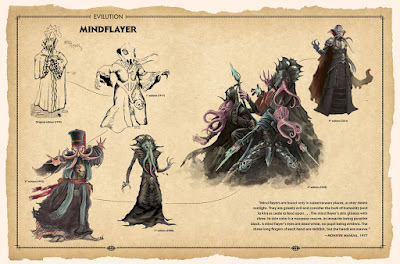 Finally, the campaign idea was inspired partially by an old White Dwarf MERP adventure—‘The Dawn of Unlight’—written by Graham Staplehurst. 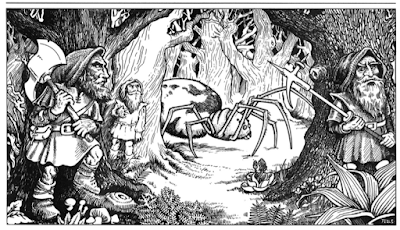 I’ve used very little from the adventure itself except for the core idea (namely, a secret ‘cult’ devoted to Ungoliant), but I’ve always liked Staplehurst’s adventure and am delighted to finally make us of it. The system I’m using is Adventures in Middle-earth, which adapts the 5th edition Dungeons and Dragons rules for Middle-earth. I think it does a pretty good job! The character backgrounds for: Hengil Foros (Dúnedan Warden of Rivendell), Ulvmund Galmund (Barding Warrior of Dale), and Hartmut Hare-Eye (Beorning Wanderer of the Anduin Vale). Adventure 1: Discovery of the Spider Orb. Adventure 2: Into Mirkwood and Back Again. A Plan is made concerning the Black Orb. Adventure 3: To the Tower of Bar-en-Dindol. Adventures 1 – 6: A Log of the Campaign (coming soon!). Adventure 7: To the Mountains of Mirkwood (coming soon!). Adventure 8: The Tower of Black Glass (coming soon!). A note on this campaign (from 16 June 2018). Some earlier thoughts on this campaign (from 19 August 2017). Some initial impressions of the Adventures in Middle-earth adaptation of 5e D&D (from 17 September 2016). I am curious about this forthcoming book: Dungeons and Dragons Art and Arcana: A Visual History. 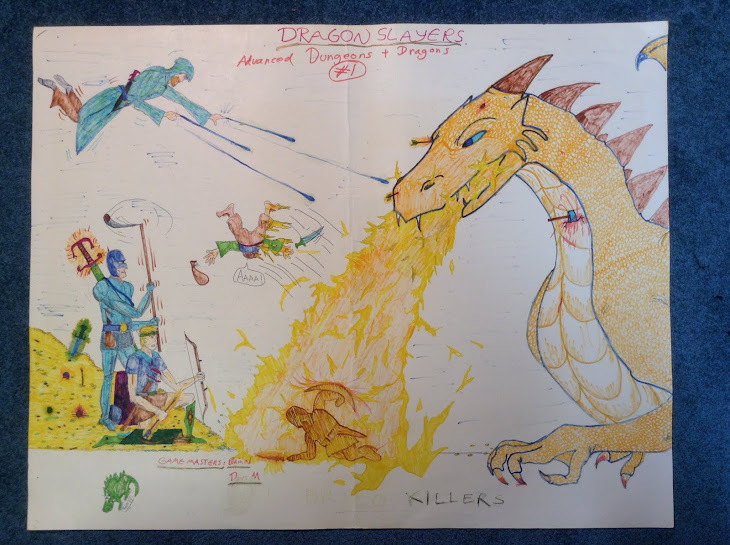 One thing that it reveals is that many iconic D&D monsters—such as mindflayers and beholders—were sketched initially by teenagers for Gary Gygax and Dave Arneson.